Utah is a state in the United States. It became the 45th state admitted to the Union on January 4, 1896. 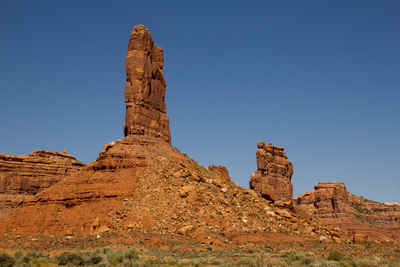 Utah is the 13th-largest, the 33rd-most populous, and the 10th-least-densely populated of the 50 United States. Utah has a population of about 2.9 million, approximately 80% of whom live along the Wasatch Front, centering on Salt Lake City, leaving vast expanses of the state nearly uninhabited. Utah is bordered by Colorado to the east, Wyoming to the northeast, Idaho to the north, Arizona to the south, and Nevada to the west. It also touches a corner of New Mexico in the southeast. The name Utah is from the Ute Indians. From the Ute tribe, meaning "people of the mountains." The Navajo Indians were referred to by the Apache as "Yuttahih" meaning "one that is higher up." Europeans misunderstood this term to refer to the tribes living higher in the mountains than the Navajo, the Utes, and the territory was called the land of the Utes, Utah. Important icon in the Mormon religion that is depicted on the state flag. The beehive became the official state emblem on March 4, 1959. Utahans relate the beehive symbol to industry and the pioneer virtues of thrift and perseverance. The beehive was chosen as the emblem for the provisional State of Deseret in 1848 and was maintained on the seal of the State of Utah when Utah became a state in 1896. Utah is sometimes called "The Mormon State," after the first settlers in the territory; members of The Church of Jesus Christ of Latter-day Saints. From the official name of the Mormon religion. The first settlers in Utah were the members of the Church of Latter Day Saints, also called the Mormons. Their hard work and great influence in the state has given Utah most of its various nicknames. Its common, and long-standing, nickname, is the is Mormon State, of which there are a couple of variations - such as Land of the Mormons and Land of the Saints.